2-9 Dedicated to Karen G.
Five CDs packaged in individual cardboard sleeves. 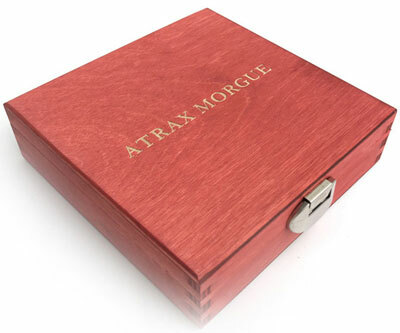 Packaged with a numbered insert in a hinged wooden box with engraved lid. Edition of 300 copies. First 30 copies comes in black plastic bag with a photo of Marco Corbelli.